MSM is well-known to help relieve joint pain naturally, but clinical trials have found that it also helps reduce inflammation and oxidative damage to muscles during exercise. 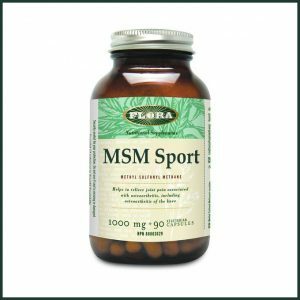 MSM is not an antioxidant, yet it has the ability to increase the body’s antioxidant capacity. Sport MSM promotes antioxidant capacity after exercise. Magnesium stearate, silicon dioxide and hypromellose.